TDS stands for Tax Deducted at Source, as the term implies it aims at collection of revenue at the very source of income. The Central Board of Direct Taxes(CBDT) and a part of Indian Revenue Services(IRS) is responsible for collecting Tax which is charged on the buyer of an immovable property, valuing Rs. 50 Lakh or more. Any kind of payment covered under these provisions shall be paid after deducting some prescribed percentage. The main objective is track the unregistered high value real estate transactions. Earlier, there was no such deduction in case of immovable properties as it is in the case of rent, interest, salary etc. The rate of Tax Deduction depends on the seller. If he Provides a valid PAN the rate is 1% and if a valid PAN is not provided it may go as high as 20%. For the purchaser or the buyer there is no such need of procuring a TAN, whereas in every other case wherever a person deducts tax, TAN generation is mandatory. The calculation of Tax is done on an amount of 50 Lakh or more. Consider our Amount as 80 Lakh so the tax being calculated will not be on 30 Lakh but it will be calculated on the total 80 Lakh. The tax shall be deducted at the time of payment or at the time of giving advance to the seller. It should also be deducted during making payment of installments. The tax being deducted is to be paid to the credit of Central Government within a tenure of seven days from the end of month of deductions. As we know the threshold limit is 50Lakh, the number of buyers or sellers does not matter in this case. Consider there are 3 buyers X, Y and Z. X paid an amount of 25 Lakh, Y paid an amount of 35 Lakh and Z paid an amount of 40 Lakh. As we can see that all the three buyers are below our threshold limit, but we see that the sum of these three buyers is above our limit so they would be entitled for Tax Payment to the Central Government. If the transfer of property being done is without any payment or it’s a gift, then this section will not apply. in this case TDS deduction procedure is different as our limit of 50 Lakh is not valid and also percentage deduction of tax is 20% + EC & SHEC on sale consideration. Also surcharge of 10% will be applicable for amount paid above 1 Crore. In case of failure to consent with the provisions, penalties in the form of interests will be imposed on the buyer. Interest as penalty will be charged @ 1% per month or part of the month for failing to deduct tax or short deduction of tax from the date the tax was deductible till the date the tax is deducted. Interest as penalty will be charged @ 1.5% per month or part of the month for tax deducted but not paid to the government from the date of deduction till the date of actual payment. 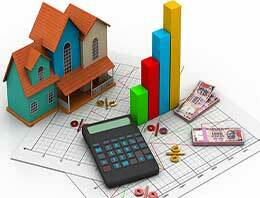 How to save Tax from your real estate investments?